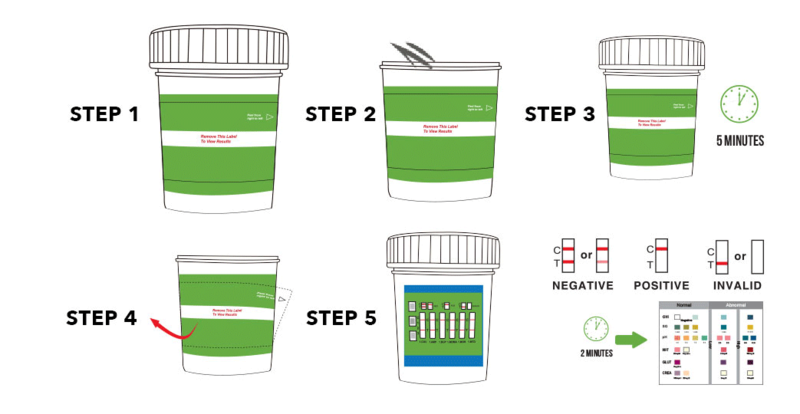 This 5 Panel Prescreen Plus Drug Test with Alcohol is easy to use and read. Test for 5 substances at once in this cup, and receive results in less than 5 minutes with a urine sample. The PreScreen Plus brand is well known in the industry for its superior accuracy and leak proof design.